Today was Day #2 of Chocolates in Toyland Theme Week. 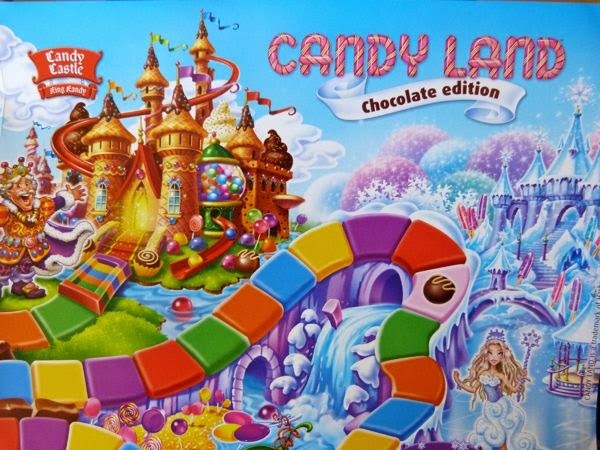 Candy Land, a popular children's board game from Milton Bradley was a childhood favorite and chocolate was a favorite childhood flavor. Together, in today's chocsimile* of the board game from the mid-1900s, this novelty item evoked a certain amount of candy-sweet nostalgia. 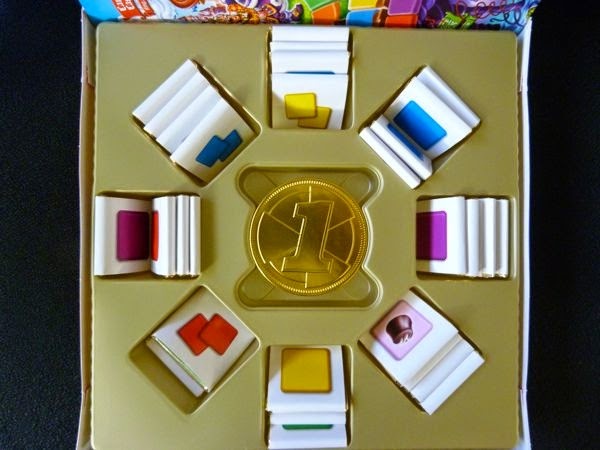 Candy Land -- the Chocolate Edition -- consisted of a game board, 4 paper pawns, and 32 milk chocolates (two-sided playing "cards") that allow players to race around the board; and one golden trophy (round gold foil covered medallion). 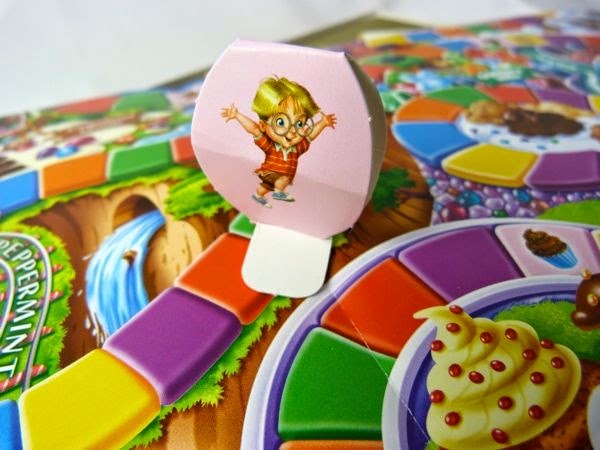 Today's Candy Land game was made by Gamesformotion (in Deventer, Netherlands). 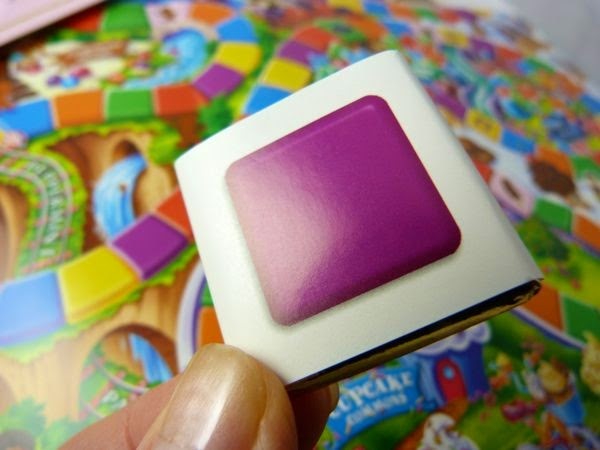 The company, through licensing agreements, also produces chocolate editions of other popular games, such as Monopoly, Trivial Pursuit, Twister, Scrabble, Pictionary, etc. The milk chocolate square (inside a purple tile marked playing "card" wrapper) was eaten before I could advance to the next purple square on the board; but it was fun to play this game. 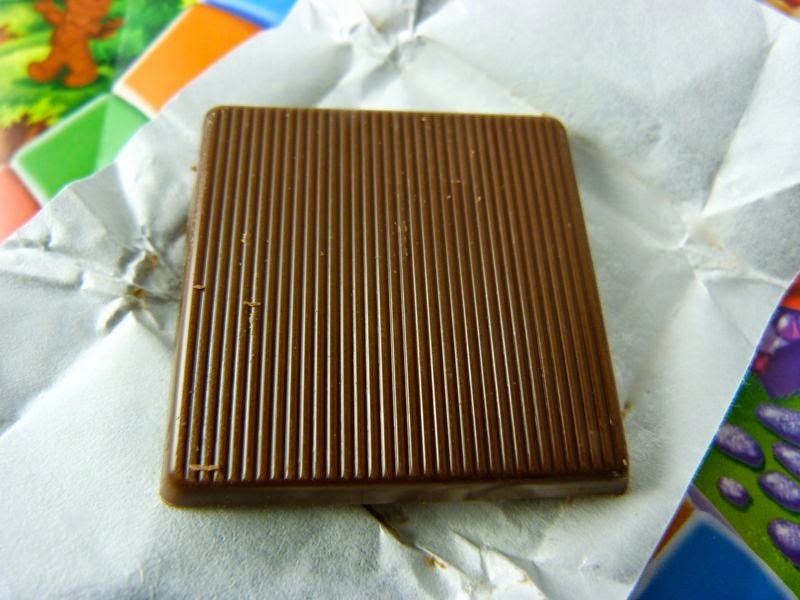 *A chocsimile is a chocolate facsimile of a person, animal, place or thing.